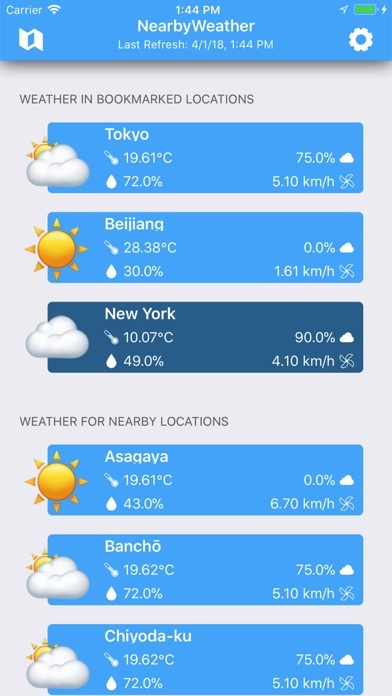 Show current weather condition and forecasts. It can match your current location and time of the day for more convenience. Features: -It shows all details: winds, pressure, humidity and a brief description. -A plot of temperature for next week offers the trend of climate change. -An interactive map shows all cities chosen in the list. Clicking a bookmark and selecting one city can lead to the location of the city. If the icon of that city is clicked, a label including some info will appear. The label can also be clicked for more details. -Search in the city list to add cities you prefer. -Set notification to alert you daily weather at any time you want. -Track all cities you prefer. Help tips: -Scroll down for more details. -The final page can be page up or down. -Scroll left and right in the middle to see weather of next week. -Tap plus sign to add cities. 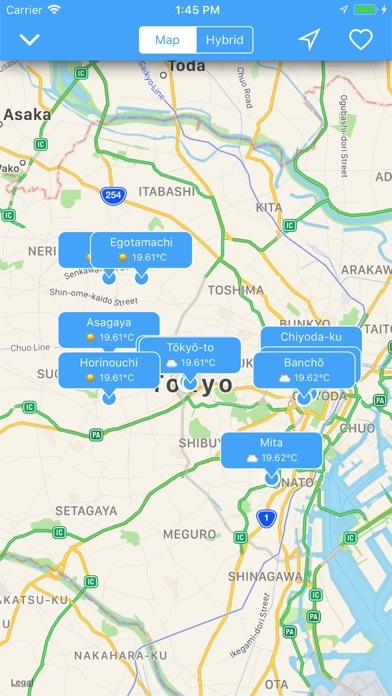 -Tap info sign to get using guides -Tap map to see cities in a map. -Tap setting sign to set a notification.